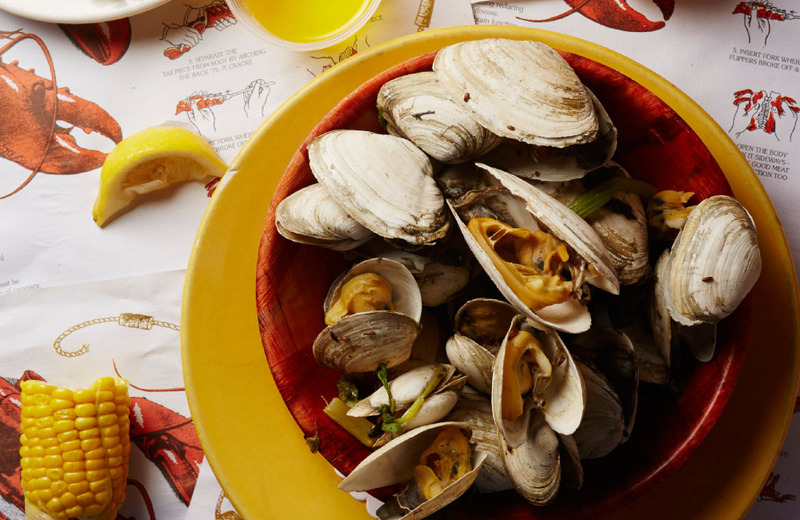 To the uninitiated, the term clam shack might seem akin to a dive bar. But around here a plate of clams on the half shell (or oysters or steamers) is sacrosanct. It’s the unfussy sort of seafood that requires a stripped down, raw presentation that relies on freshness above all else. And disposable utensils. Come summer, the kitchens of the local seafood shacks buzz with daily deliveries of bivalves and fish plucked from both shores. Pulling up a stool, or half of the picnic table bench at one of these rustic spots puts you as close to the harvest as possible without wearing waders. The rollicking vibe is made up of cold beer, a handful of cheap napkins, summer sun and, if you’re lucky, enough garlic wine sauce at the bottom of a bowl to dunk a hunk of bread into. Since the mid-90s the Bridge Marina’s clam bar gives the boatless a reason to make the trek to the north side of Bayville Bridge. Owner Richard Valicenti said the people here range from those in bikinis to ones stepping out of limos. This diverse clientele is coming for the Maine lobster roll—the clam shack can go through about 250 on a busy weekend. The salad is a hefty portion of lobster meat, some mayo, lettuce, onions, celery and spices piled onto a standard hotdog roll. No fancy top slit bun here. People in the area around Kingston’s in West Sayville have been shucking oysters as far back as the 1700s. “You can’t see any condos from here, all you see are old buildings with gable roofs and mismatched paint and it gives you a real feeling of going back in time,” said owner Jeff Gagnon. 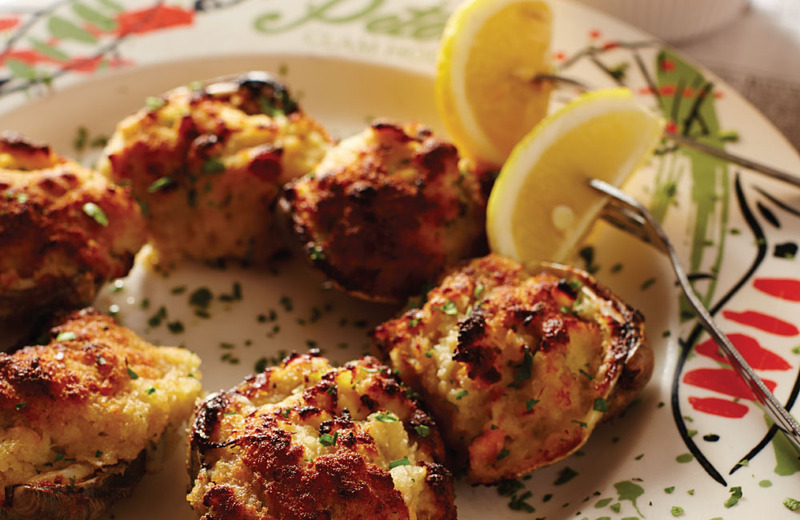 Situated next door to the original Blue Point Oyster Company, Kingston’s is known for their fresh clams and oysters. 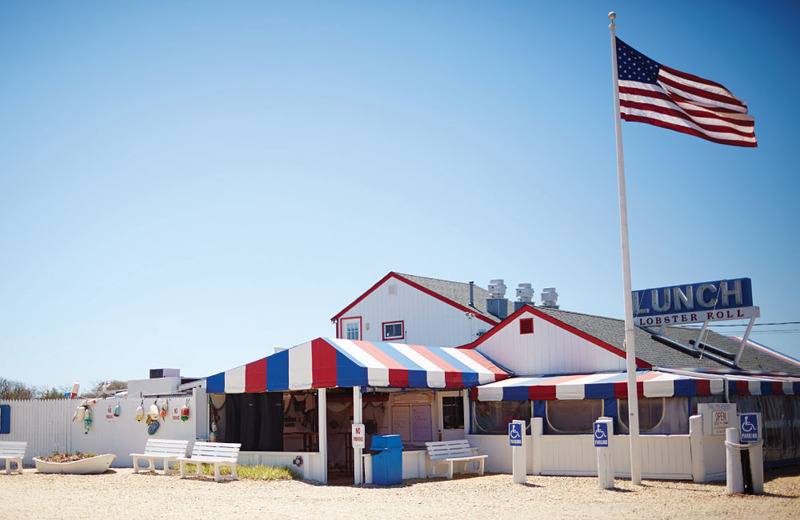 The iconic Lobster Roll has symbolized beachside dinning in the Hamptons for 50 years. You’d think that kind of reputation would keep the owners resting on their laurels. No, co-owner Andrea Anthony is doing anything but. “We do a full gluten-free menu, with the first gluten-free lobster roll. And this year we’re going to offer more Paleo options.” Even those not so-special dieters are sure to enjoy the lobster rolls as well as the company—president Bill Clinton, Scarlett Johansson and Jerry Seinfeld have all been spotted recently. Anthony’s game plan for getting in and out with some lobster in your belly and some cash left in your wallet is simple: order a lobster slider and it comes with a 1/4 pound of coleslaw. Split an order of fries with someone, get yourself a soda, and you’re done for about $15. The Roll’s veterans know the lobster salad well and might suggest another must try: puffers, or more accurately, loins of blowfish. The firm, dense white fish is lightly battered and fried off with a taste and texture somewhere between cod and shrimp. Come summer, the takeout window at Nicky’s might be the busiest strip of painted wood on the South Shore. Over that demarcation the tiny kitchen sends out orders to those boarding the Fire Island ferries. 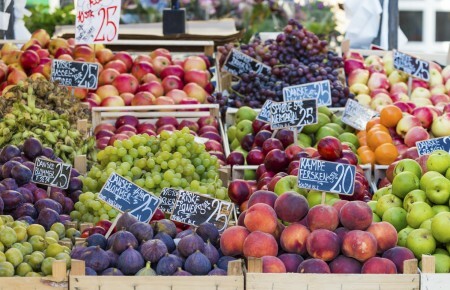 That grab-and-go trade makes up nearly half of the business. 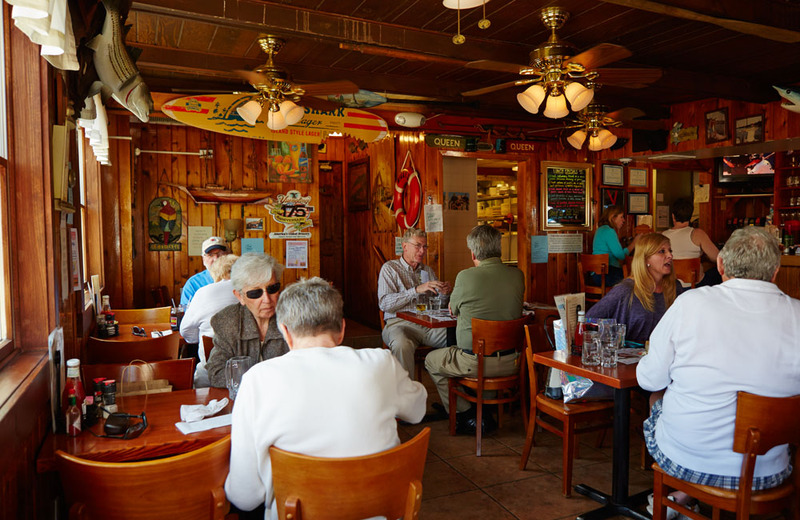 “We know the ferry schedules pretty well at this point,” said co-owner Joe Parini about the 25-year-old clam shack. While they call in about 12 bushels of North Shore clams Perarini said a classic experience consists of clam chowder and a bowl full of steamers. “The steamers are washed up, you put a little celery, caraway [seeds] and garlic and steam them for about 15 minutes. Someone grabs those in a bowl and hops on the ferry.” The same diver has been picking clams and trolling the sound for oysters and delivering them to Nicky’s for about 20 years.